Moments matter most to you. Moments of singing, dancing, playing, laughing, and loving. You want to collect MOMENTS, not things. You’re the type of mom that loves and plays hard. You’re an adventurer, yet you equally love to stay at home to cuddle your baby. You encourage your family to seek out the beauty in life, reach for the stars, chase the sun, jump in the lake, and climb mountains. You make silly noises and light tickles to see that smile on your babes face. You put them before yourself but you also know when it’s time to take a break. You work hard inside and outside the home and putting on that gorgeous flowy dress to dance with your husband and children make you feel BEAUTIFUL…because you are. Let’s capture those hugs, laughs, and smiles that only unfold with the people that matter most…your FAMILY. So let’s go on that adventure, let’s jump into that lake, let’s chase the setting sun, or explore those fields to find nature’s treasures, so we can capture the honest version of your family that you so long for. I have a love for natural light and true emotions, real connections and authentic moments. I love to laugh with your wild children, explore with your serious adventurer or be still with your quiet observer. If your drawn to moody, emotional images that capture the connection and love between you and others, then we are a match made in heaven. If you are the type of mom that wants to play and love on your family in the presence of my camera, then I am the photographer for you, and I can’t wait to meet you. I love to capture moments for the dreamers and lovers of life. If I speak to your mama heart, then let’s do this! I plan to laugh with you, share your joy, and maybe even shed some tears. You stopped by this page looking for someone to tell your family story. The story of your family’s love. A mother’s love for her family. Friend, you couldn’t be more right. 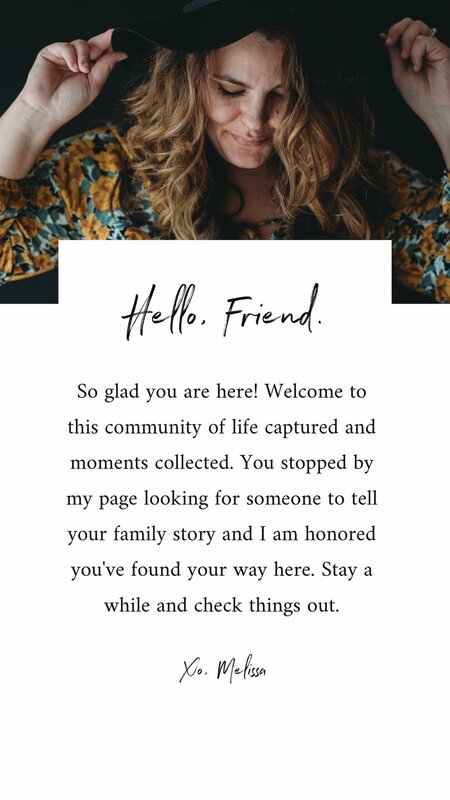 If you’re ready to have your story documented and you’ve found your way to my website, I am honored. Here you will find authentic, honest, fun-filled images that speak to your heart. Let’s capture your story!